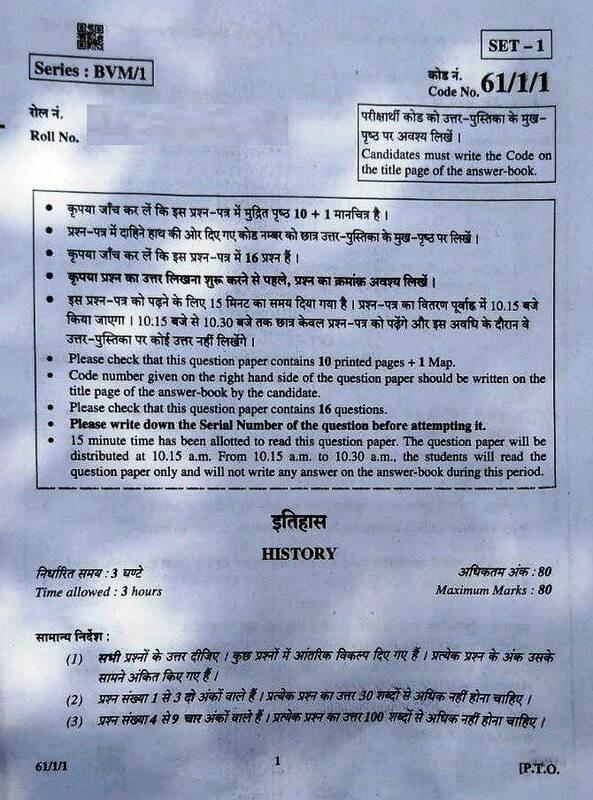 Download CBSE Class 12 History Paper 2019 in PDF format. CBSE Class 12 History Board Exam 2019 was conducted on 25th March 2019. More than 1.5 lakh students appeared for Class 12 History Paper 2019. With this article, you can download CBSE Class 12 History Paper 2019 in PDF format. Link to download CBSE Class12 History Question Paper 2019 is given at the end of this article. “Inscriptional evidence has us own limitations while reconstructing history” Justify the statement giving two points. Why was RihIa called a remarkable book of Ibn Battuta ? Give two reasons. State any two characteristic features of the towns built by the Mughals in India during sixteenth and seventeenth centuries. Suite any two characteristic features of the ‘new Black Town’ developed during the colonial period in Madras. Prove with the help of examples that the Harappans had established their contacts with Western Asia for purchase/exchange of artifacts. Describe the sources historians have used to 7econstruct the history cit the Mauryan Empire. “The Virupaksha Temple developed as significant architectural. religious and cultural centre” Explain the statements with suitable examples. All the questions are available in the PDF of the question paper.